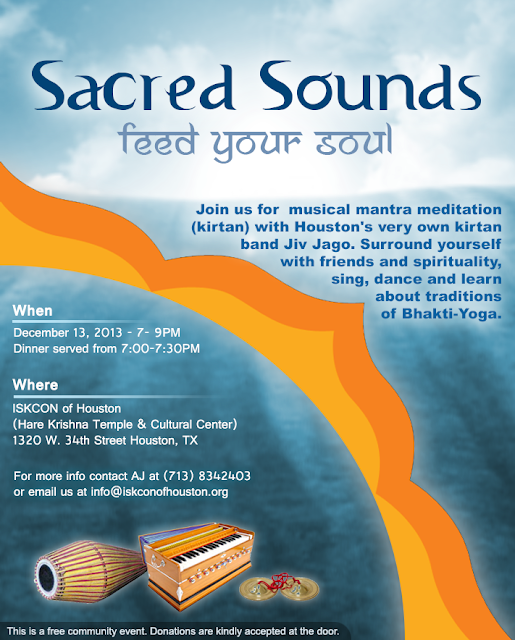 This week Anish, from the HAre Krishna temple, asked me to make a flyer to their new event which is called Sacred Sounds. It is a kirtan program that will start on every first Friday night of the month. Here is the flyer I made, tell me what you think! If all goes well it should start getting printed in the next few days. Dinner is on the way! Trip to San Antonio, TX!